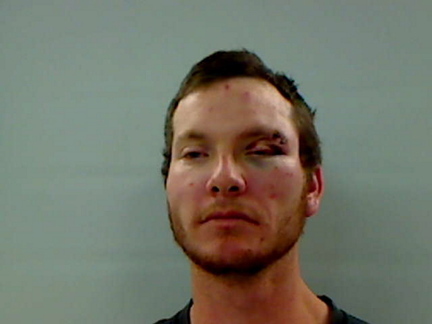 AUGUSTA — A Colorado man is chared with aggravated assault after two people were stabbed at a Hallowell bar Saturday night. Jacob Lynn Hitchcock, 26, of Bennett, Colo., had an initial court hearing Monday in Kennebec County Superior Court via video from the nearby jail. A judge set bail at $25,000 cash and banned him from contact with two men. It wasn’t clear Monday if the two men were the victim or others who were at the scene. He was also banned from Higher Grounds, where the stabbings occurred. Hitchcock was arrested by Hallowell Police Officer Kristal Clark Saturday after she responded to multiple calls about a fight at the Water Street bar. Clark arrived at the scene and found several people holding a suspect, later identified as Hitchcock, she wrote in a court affadavit. A witness to the stabbing gave her the knife Hitchcock allegedly used to stab the two people. Hallowell Police Chief Eric Nason said Sunday the weapon was a box cutter. Clark said she handcuffed Hitchcock and then tended to the two victims, who were being helped by bystanders. One victim was taken to MaineGeneral Medical Center in Augusta, the other to a Lewiston hospital. The injuries were not believed to be life-threatening and the two victims were not named in the affidavit. Hitchcock is being held in Kennebec County jail. It does not appear he has a criminal record in Maine.